Situated along the shores of Lake Sidney Lanier, our resort features 1,500 scenic acres, beckoning to families and corporate groups alike. Encompassing immense natural beauty in an intimate setting, our luxury resort and hotel in Buford, GA are perfect for family vacations, romantic escapes, business conferences, weddings and more. Check out our incentives for booking your next meeting, conference, training or company retreat at Lanier Islands. Click “Details” below to help you plan when to visit Lanier Islands! For those of you who have already picked your dates, this calendar serves as a guide of what will be happening while you're here! 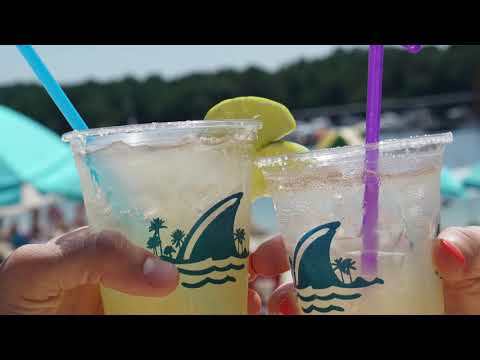 Located just outside of Atlanta, Margaritaville at Lanier Islands is the perfect escape to a lakeside paradise. Relax on the beach, make a splash on a water slide or grab a bite to eat at LandShark Bar & Grill. However you choose to chill get ready to be surrounded by the sights, sounds and tastes of Margaritaville. Slip your boat in for the day, reserve a slip at the new marina docks, or bring your RV and set up camp for a Margaritaville vacation!